They had lockers (50 cents apiece) to put our lunch bags and purses in, but no hot chocolate stand which seemed to surprise my younger son. 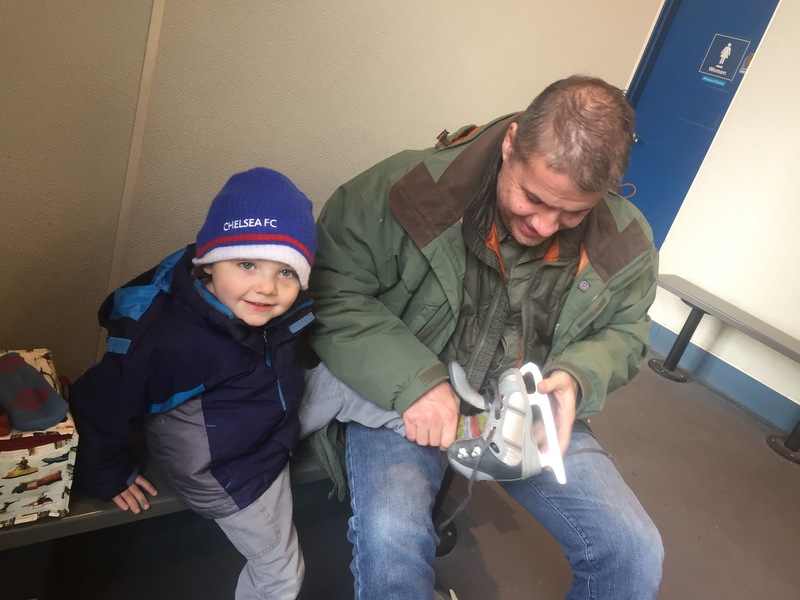 I tried to warn him as we laced up, “You might slip and slide a little bit,” I said, and “You might fall but,” as soon as my three year old connected his tiny skate to the ice, he slid backward then forward and I (holding his hands all the while) pulled him upright and sort of smooshed him into the wall. Which he Did. Not. Like. And for him, that was enough. “All done,” he said. I basically begged him what seemed worthy of the $13 but he refused, choosing instead to sit on the bench. Defeated and feeling somewhat robbed, I went back inside and traded his skates for his shoes back. Meanwhile, my four year old and my partner took turns falling and taking hesitant skate steps around the rink. Twice. I’m sure they both fell, but overall they seemed like a pretty good team. 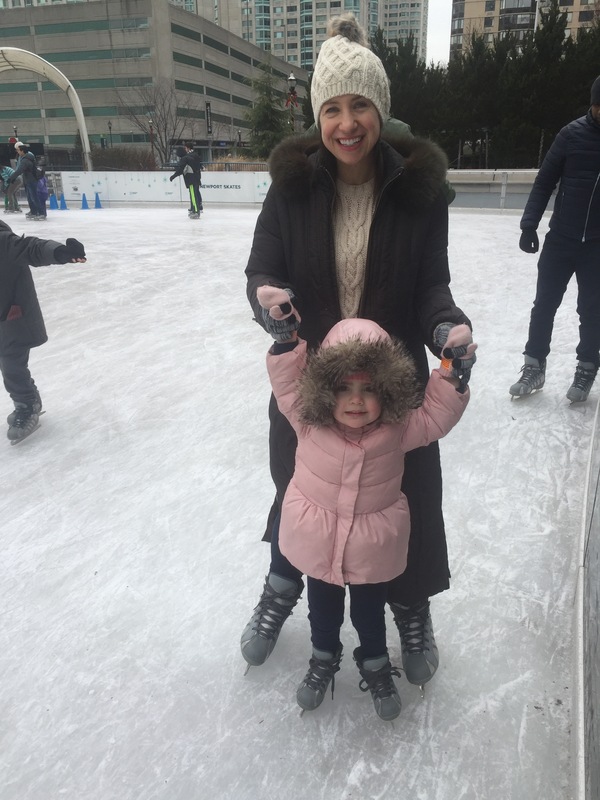 “We went to Disney on Ice and they made it look so easy,” Angela, a pretty and smiling mother with the patience of an angel, said to me while she attempted to keep her own three year old upright. “I just wanted him to have the experience,” another father chimed in, while his wife and child battled with gravity and the effects of blades on a slippery surface. Us too. It was fun. 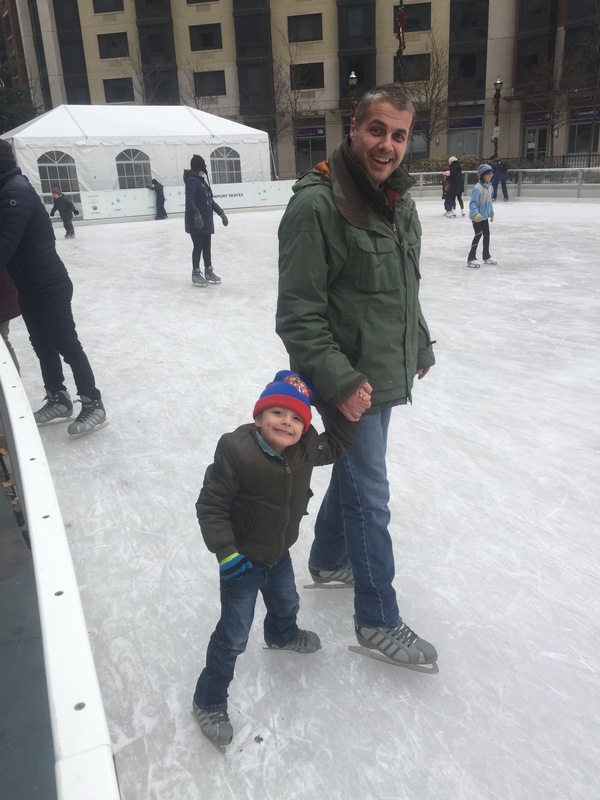 I’d go back – I’d just probably be better prepared next time for a child who won’t skate. 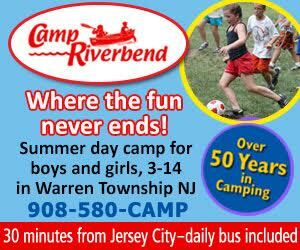 Newport Skates is open Mon-Fri 4pm-9pm , Sat 11am-9pm, Sun 11am-7pm.